We love being a bridal salon & love our wedding vendor community even more! We are surrounded by incredible brides and top professionals who know what they’re doing, offer quality & unique services, and are just all around wonderful people. So wonderful in fact, we thought we’d give you a sneak peak at some of our favorite wedding venues, right here in the Chicagoland Suburbs. Read on to see why we love them so much and why we think you’ll end up taking a tour of at least one or two! With over 15 bridal and guest amenities, the layout of the venue is only the beginning of the venue’s greatness. Known for their warm and welcoming hospitality, Emerson Creek prides themselves in their spacious-yet-cozy atmosphere. The venue is complete and accommodating to guests with multiple cocktail areas, a “bridal coop”, 7 scenic beautiful Midwestern acres, and so much more. Emerson Creek is every modern, Midwestern bride’s dream! We love Heritage Prarie Farm, especially for the creative, DIY bride. Known for their experience and friendly services, this venue sticks to their values and knows how to give a couple their dream wedding in a beautifully customized way. They always know how to set a tonal ambiance that is both effortlessly chic and perfectly rustic, coining their own style as “eco-chic” which we just love. If you’re a bride on the hunt for a country chic venue, Heritage Prarie Farm’s all-inclusive, highly recommended services and amenities are worth researching and touring! This classic barn venue is both big and beautiful, critically acclaimed for its grandeur and worry-free experiences. While some of its interiors and exteriors are still evolving, they’re taking pride in constructing their venue features to fit the needs of guests and specifically for the simple, fun, and chic couple! Can you say Magnolia Silo vibes? We just can’t get enough! This open & welcoming venue is known for helping couples celebrate traditions and acting as their very own canvas when it comes to bringing country wedding dreams to life. With 300 acres of gorgeous lawn and sunset scenery, the Arranmore Farm and Polo Club pride themselves on taking a large space and making it feel like an intimate, home away from home. This venue is for the creative county bride, as she has all of the decor and styling possibilities at her finger tips. Let Mother Nature act as the perfect background, throw in some market lights, and you have the perfect wedding under the Chicagoland sky. Can you say rustic elegance? 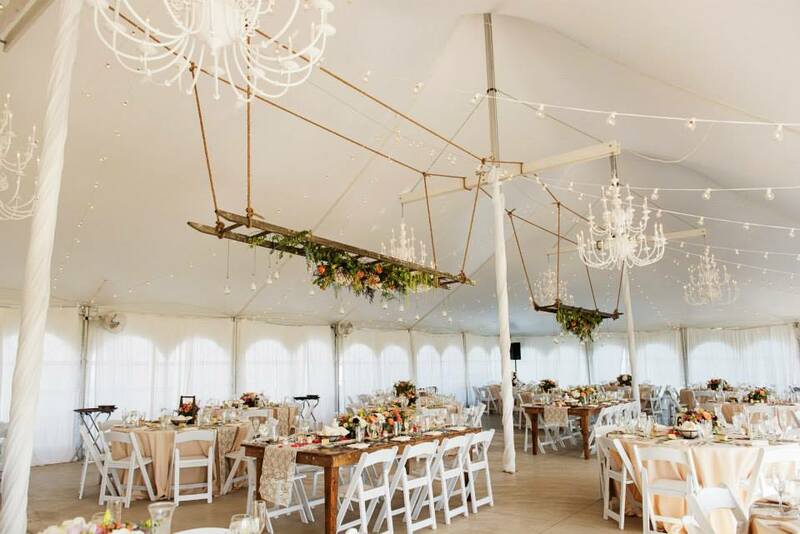 Byron Colby Barn is all about being accommodating to their brides by giving them ultimate DIY freedom to create the wedding of their dreams. Host your ceremony in their intimate, rustic barn, make guests comfortable in the unique Silo location, or host your cocktail hour in their tree-lined Market Square. With a beautifully lit reception area, you’re bound to have a perfect, nature-bound wedding from start to finish. Having the perfect wedding means finding the perfect vendors for you. How are they going to meet your expectations? Are they a good fit for you as people? What kind of effort is the team going to give? Since we’ve personally experienced all of these venues to be top-of-the-line, all that’s left to do is decide which one fits your personal style and budget. If there are any venues you think should have made the list, comment with your favorite Chicagoland venue in the comment section below! April is Sustainable Beauty Month! What Can you Do to Celebrate #SBMONTH2018? Hello all and happy Earth/Sustainable Beauty month! After basing Refined Beauty off of a green circle mission and the inclusion of non-toxic, sustainable hair products in our salon, April truly is a great month for us. We take it as a time to remember why we chose to be a green circle salon and how it has been greatly beneficial for us, our wonderful clients, and of course, our Earth's ecosystem. While we could go on for days about why it's great to be a #sustainablebeauty salon, we thought we'd share how we can all begin to make a difference through sustainability. To learn how you can be an effective part of #SBMonth2018, keep reading! It's important to actively watch how much water we use in one day. When it comes to beauty, it's actually quite easy to use a minimal amount of water. In our experience, it takes no more than a 5 minute shower to properly clean and rinse both your hair and body. It's even proven to be enough time to shave your legs! While in the shower, cover things like brushing your teeth and cleansing your face. This helps spare the amount of times you turn the sink on and off. A huge part of being sustainable is re-use. Instead of tossing out your empty cosmetic containers and bottles, wash them with a drop of soap and a cup of water. Once they've dried, think about refilling them with another cosmetic product or cutting it open for a more mundane use. Filling your containers with things like hair ties, bobby pins, or even better, a plant, is the perfect way to feel like the ultimate conservationist. Among our favorites is the stylish Davines product bottles! This is a not-so-obvious tip which is why we love it! Thinking of ways to be sustainable requires thinking outside of the box and paying attention to how we might be wasteful on a daily basis. To conserve more energy, consider moving your vanity or makeup area toward a big window or a space in your home that retrieves a lot of natural light. This will not only give you correct makeup coloring but keep you from absorbing too much electrical energy in the bathroom. While still growing, the sustainable beauty industry has been so beneficial to our Earth and beauty professionals. We are proud to call ourselves a sustainable beauty and Davines salon. One of the best parts about supporting sustainable beauty companies is the fact that they support other charities. See a full list of sustainable beauty companies here! While there is much more to being a sustainable citizen, we thought we'd start you off with these basics on how to be sustainable in your beauty efforts. It all starts with one person, one small recycling act, and a little bit of continuous effort! How are you making a difference during #SBMonth2018? We would love to know your creative recycling ideas! Follow along on Instagram and Facebook to get constant updates on blog posts and ways we LOVE keeping things sustainable at Refined Beauty Boutique!